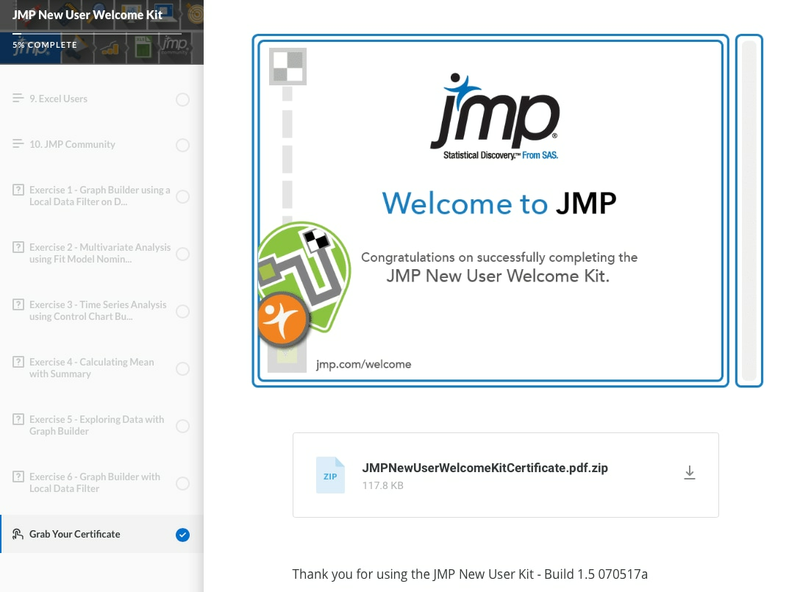 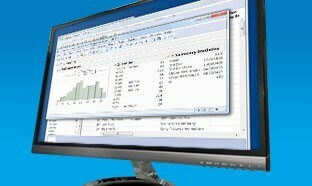 The New User Welcome Kit is designed to help you quickly get comfortable with the basics of JMP. 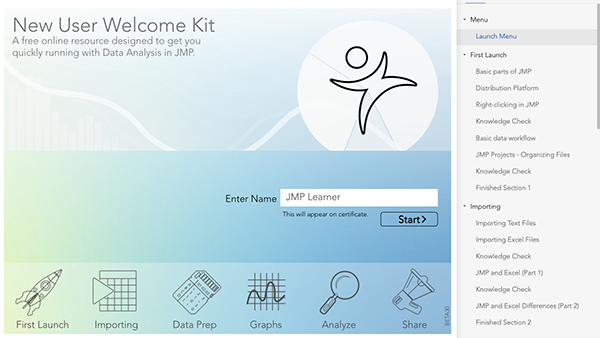 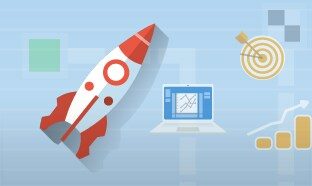 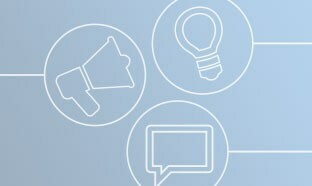 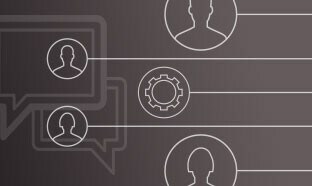 You’ll complete its thirty short demo videos and activities, build your confidence in using the software, and connect with the largest online community of JMP users in the world. 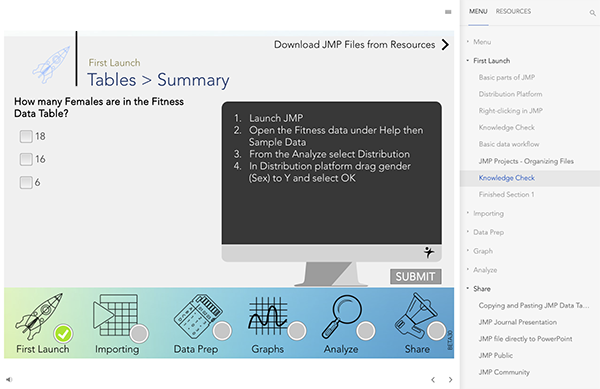 Use the menu as a guide from your first launch of JMP through your connection with the User Community, tracking your progress and applying your knowledge in JMP along the way. 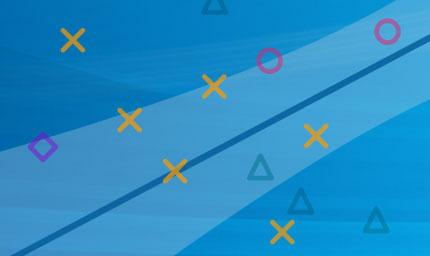 You can complete the activities at your own pace, but we suggest you try to finish the entire series in five days or less. 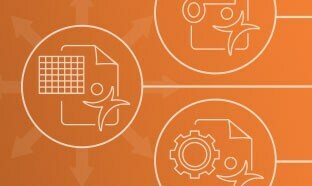 When you're done, print your certificate, share your accomplishment, and keep practicing your new JMP skills! 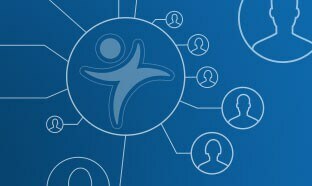 IE 9 or earlier versions are not supported.